Private sector partnership now joins in the government orchestrated move to provide the infrastructure for development in opening a fast and free wireless fidelity (wifi) connection at the government’s state college here. Thanks to Google’s Google Stations in partnership with Smart Communications, the ripples from the Presidential promise of making accessible free wifi hotspots anyone can connect to, gets to Bohol Island State University, this month, according to Smart. During the 2016’s State of the Nation Address, President Rodrigo Duterte has promised to put up free wifi hotspots in public areas in the country. Even as the government stirred itself to provide a strong broadband backbone from which this wifi can get through, a latest report from the World Bank on fast broadband speeds says, every 10-percent increase in broadband internet penetration, this translates to a 1.38-percent increase in a country’s gross domestic product growth. As shown that internet penetration is directly proportional to economic growth, the government through its Department of Information and Communication Technology (DICT) put up its Pipol Konek: Free Wi-Fi Internet Access in Public Places Project which aims to accelerate the Philippine government’s efforts in enhancing internet accessibility for Filipinos so that, in turn, economic, social, and educational opportunities will be bolstered, and the growing Digital Divide can be bridged. Pipol Konek have live spots in Alburquerque HS, gym, Anda, Baclayon HS, Calape RHC, Dagohoy, Danao, Dauis, Tagbilaran City, Garcia Hernandez, Guindulman, Getafe plaza, Maribojoc town Hall and RHU, Loon town hall and plaza, Baclayon in Montaña and Plaza, Loay, Lila, Mabini, Jagna, Guindulman plazas, Sagbayan, Pilar, CPG Pitogo, Pangalo, San Miguel, Sierra Bullones, Sikatuna, Trinidad, Valencia, Talibon, Tubigona nd Ubay. Along this, the government has also pressured telecommunication companies to up their services, to which, Smart readily responded. With Google, Smart has made google stations fast and efficient, according to the DICT. With a strong broadband carrier partner, Google has announced that they are bringing their fast and free WiFi initiative, Google Station to the Philippines, and to BISU in Bohol. According to google, Google Stations are basically high-quality, free WiFi hotspots that anyone can connect to. The company first rolled out the service in India, before it expanded to Mexico, Thailand, Indonesia and now, in the Philippines. And the good things, Google Stations will be developed in more than fifty locations by the end of this month,” Mahesh Bhalerao, Global Director of Google’s Next Billion Users Partnerships was cited in news reports. Google with both PLDT and Smart for the initiative would now make also it possible for the provision of hotspots in public locations like malls, markets, bus stations, and markets. Among the 50 google stations which would be live and operational within the end of February would be the one at Light Rail Transit-2 (LRT-2), Metro Rail Transit-3 (MRT-3), Araneta Bus Port, Cebu South Bus Terminal, Clark International Airport, Davao International Airport and Batangas Port. In the schools, Google Stations would be up in Ateneo De Naga University, BISU in Bohol, Bukidnon State University, Colegio de San Juan de Letran Calamba, Columban College Inc., Holy Cross of Davao College, Pamantasan ng Lungsod ng Maynila, Southern Luzon State University and the University of Cebu-Main Campus. PLDT Inc. and Globe Telecom Inc. will likely end up selling their wireless communications towers to any of the seven independent private firms putting up new towers for collective use, Makati City Rep. Luis Campos Jr. said Sunday. “We see both PLDT and Globe eventually assigning their 16,000 towers to any or all of the non-aligned firms providingshared towers, now that the government has permitted at least seven of them to operate,” Campos, a deputy minority leader, said. “They (PLDT and Globe) will likely consolidate and spin off their tower assets into separate subsidiaries, and then put them up for saleto the independent tower entities,” Campos, who is counting on common towers to quickly boost Internet connectivity all over the country, said. AIC became the sixth entity authorized by the DICT to construct new common towers after ISOC Infrastructures Inc.; ISON ECP Tower Pte. Ltd.; IHS Holding Ltd.; edotco Group SdnBhd; China Energy Equipment Co. Ltd. and RT Telecom Sdn Bhd. “The immediate beneficiary of new commontowers isthe Mislatel consortium – the third telecommunications player that the government has brought in precisely to drive competition in the supply of superior Internet services,” Campos said. Campos has been batting for improved public access to faster Internet connection speeds at a lower price. He is author of a bill that seeks to reclassify Internet access as a “basic telecommunications service” so that regulators may compel suppliers to provide rising connection speeds under pain of harsh administrative fines. “With seven independent private firmsracing to put up new towers for collective use, the Mislatel consortiumshould be able to swiftly scale up Internet service coverage, since it can opt tojust lease the new structures,” Campos said. The consortium would spend less to build fewer towers on its own, thus enabling itto spend more for fasternetwork expansion, Campos said. “As a business model, tower sharing is nothing new. In fact, one of the Fortune 500 firms is American Tower Corp., which owns and operates over 170,000 shared wireless and broadcast communications sites in 13 countries,” Campos said. To improve Internet connectivity, the DICT said the country may need to roll outsome 50,000 newtowers on top of the 16,000 already built by PLDT and Globe. Seven key players of e-commerce and social media platforms will be helping grow local SMEs with the latest in finance technology during the first DIGIBEEZ Summit on March 20, 2019, at Seda Hotel, Cebu City. The digital business summit organized by the local finance technology firm Dragonpay is expected to gather Small-Medium Enterprises (SMEs) in Central Visayas. With the theme “Digibeez: Growing the hive of finance technology”, Dragonpay aims to connect with local businesses and share fintech best practices through the event. With speakers from reknowned e-commerce and social media platforms such as Sam Leblanc, Sales Manager of Google; Ash Mandhyan, Client Solutions Head of Facebook; Martin Yu, Business Intelligence Head of Shopee; Allan Brizuela, President of Black Arrow; Itamar Gero, Founder and CEO of Truelogic; Ron Baetiong, Founder and CEO of Chatbox PH, and Denise Haak, CEO of Quiddity, we are optimistic that this event will open better business opportunities for the local business sector,” said Robertson Chiang, founder and COO of Dragonpay Corp.
“This event will help entrepreneurs and the business community learn ways to increase revenue and expand their business through online payments and related services”, Chiang added. Dragonpay is a Filipino-owned finance company that helps facilitate alternative payment schemes for online shoppers without bank accounts or credit cards. Its mission is to make e-commerce available to all Filipinos. For over eight years, Dragonpay has become a trailblazer in the finance technology (fintech) industry with over 118 million completed transactions and 11 million unique users, most of whom are based in the Philippines. With this success, Dragonpay has created a buzzing hive for local businesses. There will be opportunities to network with the speakers and fellow business participants after the talks. To register for DIGIBEEZ fintech summit, go to https://digibeez.dragonpay.ph/ or contact 0977 324 2487, 0919 967 5257. On October 23, the innovation conference Slingshot Cebu 2018 will gather start-ups, entrepreneurs, innovators, educational institutions and government agencies at the Cebu City Sports Club. According to the organizer Department of Trade and Industry (DTI), the latest edition of Slingshot Cebu will have the theme of “Revving up your business in a Digital World”. Appropriate for its target participants which are both brick and mortar MSMEs and tech startups. Slingshot Cebu 2018 will have the twin objectives of nudging brick and mortars to adapt and adopt digital, while our tech startups will have the opportunity to network, validate business models and gain traction. This year’s Slingshot topics include: The Digital Entrepreneurship Ecosystem, Scale Up Program for Startups, Data Privacy and Digital Marketing. There will be two panel conversations. One to tackle Entrepreneurial Journeys and another will be on Revving up Revenues through Business Model Design. All will have both MSMEs and Startups in the panel to show that innovation and entrepreneurship are really two sides of the same coin. Slingshot Cebu 2018 has two break-out sessions held simultaneously in the afternoon. The first session is called “The Pitch” for tech start-ups and brick and mortar MSMEs. Judges will be corporates from both the traditional and startup world. The second session is called “Coach and Connect.” This coaching session will focus on sales & marketing, financing & funding, legal, HR Related, and Payment Solutions. Right after the conference, the DTI will launch the Startup Island Mentoring Program in Central Visayas. DTI 7 Assistant Regional Director Ma. Elena Arbon said that the Startup Island Mentoring program, which is being piloted in Cebu, is designed to help local startups gain entrepreneurial skills, strengthen their business models and scale-up. So, who are HOTS in Bohol TechVoc Week’s Jobs Fair? TAGBILARAN CITY, Bohol, August 24 (PIA)— She never expected fate to finally be kind to her. Twenty-one years old Mariel Tocmo of Datag Sur, Balilihan has too many frustrations as a job seeker, she could not stop from thinking today was no different. A graduate of Corella National High School, Mariel admits her family has only enough to get by, not comfortably. “My father died, and being the youngest in the family, it is just about time I help,” she timidly shared in a chance casual conversation. As she was saying this, hundreds of job seekers were also in different processes of proving to the 6 international and 8 local employment agencies present during the Jobs Fair at the Bohol Cultural Center, that they have just the right skills for the job needed. A job fair offered by Technical Education and Skills Development Authority (TESDA) to commemorate the National Technical Vocational (TechVoc) Week, other government agencies pitched in to elevate the TESDA skills bridging into a full scale employment event. 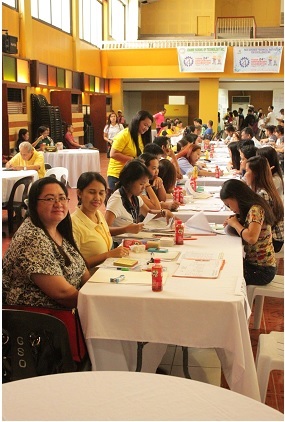 With the Department of Trade and Industry, Department of Labor and Employment (DOLE) JobStart and the Provincial Government through the Bohol Employment Placement Office (BEPO), the one day Jobs Fair hoped to reduce unemployment and push for economic productivity for people of the employable age, explained BEPO Officer In Charge Ma. Vilma Yorong during the jobs fair. “We are expecting over 800 job seekers today,” former TESDA information officer Jaminel Damolo said. Finding a job has become Mariel’s priority. After years of staying at home and helping her 62-year-old mother weave baskets and cope with her quota, the closest she had to getting hired was a promise of a call after every job interview. None came. “I am the youngest, my elder brother works as a kitchen staff in a city restaurant, the others have married and taken on families,” she added, detailing about her siblings. While waiting for the lucky job call, she doubles up as a basket weaver helping her mother Flavia come up with the weekly quota of 60 baskets a month. 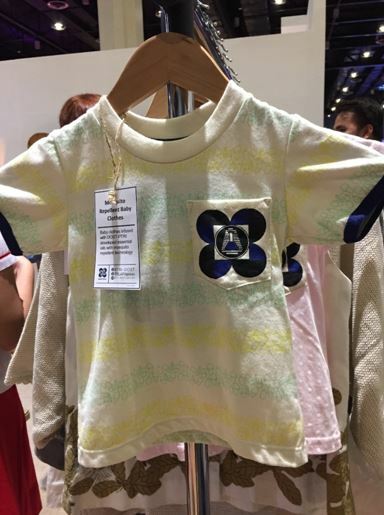 This they would sell at P6.00 each. One time, Mariel availed of a Local Government Unit of Balilihan and Antequera-organized TESDA training for work as contact center agent in Tagbilaran. For two weeks, she thought she had fattened her chances of a job. TESDA keeps a policy for their accredited Technical Vocational Institutions (TVI) offering the government scholarships to facilitate the hiring of at least 50% of their enrollees. Still, Mariel did not make the cut, and her Qualfon chance proved to be tough, the work requirements were hard to come by. So today, August 24 should be like any of those times she kept the hope. “I did not tell my mother that I would be here to apply for a job, she might expect too much,” she confessed, trying to mask a smile already forming in her face. The story of Mariel Fe Tocmo, is almost the same as that of Marchelle Comoylao of Cambu-ac Sur Sikatuna. A graduate of Sikatuna National High School in 2014, at 20 years old, Marchelle, despite being the youngest, has been on the look-out for a job that offers her a better future. “I have an elder brother who, while waiting for job call, as a seaman, helps my father as carpenter worker. My mother keeps the house,” she noted. Now working as a boutique attendant in a Tagbilaran City mall, she has doubled up as a babysitter to her sister’s kids, but that is not what she wanted in her life. “It is never easy, I have to find a job to help my family,” she stressed. But like Mariel, job seeking in never really easy. To expand her chances, she sought for other skills. “I took up cookery through a TESDA scholarship for 2 months, buts still job is elusive,” Marchelle said, modest in a rose pink blouse and striped black and while skirt, coming to chance during the job fair. But in a sudden twist of luck, both Mariel and Marchelle were among the 17 others who were hired on the spot (HOTS) by noon time during the one day Jobs fair. Both and 10 more were told to report to Mitsumi Danao, an electro mechanics solutions provider combining advanced technologies from a wide range of fields including ultra-precision mechanical components (such as ball bearings), motors, sensors, semi-conductors, wireless communication—and fuse machines and electronics with control technologies. Along with Mitsumi were 8 local companies scouting for new workers to prop up their work force including Alturas Group of Companies, Bohol Quality, Henan Resort, Prescon Philippines, Sherwood bay Resort, Taytay sa Kauswagan Incorporated and Reynas Garden and Haven. The Jobs Fair also attracted 6 international companies: East West placement center, FVJ Overseas Placement, Golden Legacy Jobmovers Inc., IUPP Inc., JobsGlobal Employment Services Inc. and Lead Resources Management Corp, bared BEPO OIC Yorong. TESDA technical education skills development specialist Rosemarie Banol also assured that the placement companies joining the fair were screened by BEPO and found to be legitimate and are permitted to set up manning services. Having gone through months upon months of trying to land into jobs, Tocmo and Comoylao also learned something about the jobs fair. Totally strangers from each other, seeing that if both keep off from others, job seeking would even be more daunting. Both naturally got into each other’s support and it took them less than five minutes to be friends. And one thing Comoylao realized that at the Jobs Fair, if it is the companies who look for workers, the tendency is to make everything easy, compared to when one is in need and applies for a job which the company has no need at that time.